Our bedroom is large and very white. Even though we've been here a while, there is still little decor as I concentrated on getting the main living area done because that's what people see. 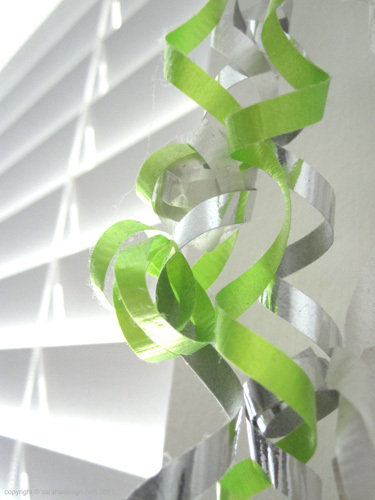 However I did have some party favors from our wedding, I hung those on either side of the windows for a little pop of green and silver, to break up the whiteness just a little.